The biggest cruise ships in the world are getting a bigger sister next year, and Royal Caribbean has given her a name, Harmony of the Seas. “We are orchestrating a medley of new exciting concepts with the best Royal Caribbean innovations to strike the perfect chord for adventurous vacationers. 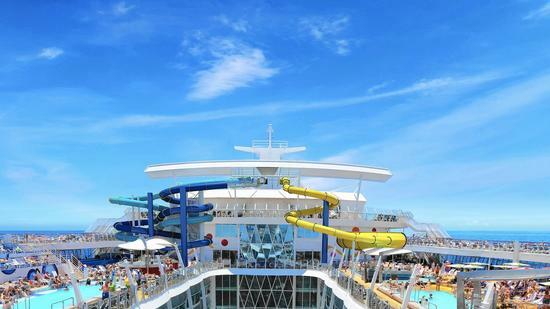 That is why we are calling our third Oasis-class ship Harmony of the Seas,” said Royal Caribbean International President and CEO Michael Bayley. The Harmony of the Seas will be just slightly larger than the line’s two other Oasis-class ships, the Oasis of the Seas and Allure of the Seas, which both sail out of Port Everglades in Fort Lauderdale. Harmony will be 227,000 gross registered tons, which is 1,718 tons larger than the two earlier vessels. The line says the ship will hold 5,479 passengers at double occupancy in 2,747 staterooms, which is 41 more staterooms than either older ship. 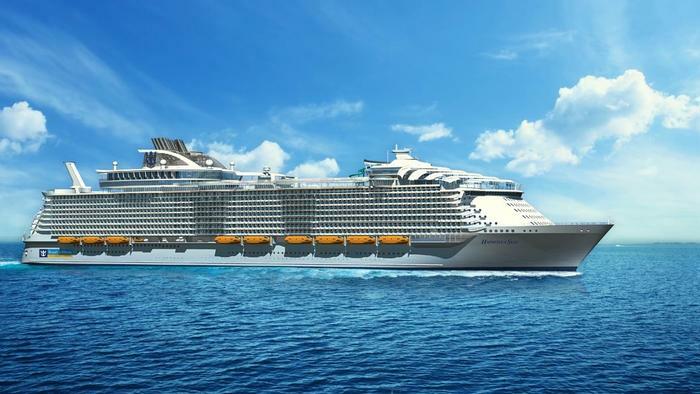 Currently under construction at the STX France shipyards in Saint Nazaire, France, just where the 16-deck vessel will debut in April 2016 will be revealed in March, as will the home port of Royal Caribbean’s third Quantum-class ship under construction, the Ovation of the Seas, which is also due in April 2016. Fort Lauderdale was originally named the home port for the line’s newest ship coming to market, the Anthem of the Seas, coming this April. That ship recently got its first taste of water at the Meyer Werft shipyard in Papenberg, Germany. But with the growing market in China, Royal Caribbean changed itineraries to send Quantum of the Seas, which debuted last fall, to sail 3-to 5-night cruises from a variety of Asian ports, which caused a shuffle that will send Anthem of the Seas to Cape Liberty to serve the New York market. “South Florida specifically as being the No. 1 cruise sourcing in the market, it only behooves any cruise company to have their latest greatest ship sailing from South Florida,” said Stewart Chiron, known at the Cruise Guy. Whether that means Miami or Port Everglades will get either of Royal Caribbean’s ships due in 2016 remains to be seen. As far as Harmony of the Seas goes, it will be similar to the lines Oasis-class ships with features like Central Park, which has real trees and grass in the middle of the ship. What’s new on Harmony, though, will be three water slide that will hang out over Central Park 10 decks below. One of those slide will feature a bowl feature that lets riders swirl around before sliding out a hole in the middle before exiting the ride. The line often takes concepts from its newer ships to roll out in new designs, as well as retrofit older ships when they go into drydock. That notion means there will be more robot bartenders at sea as the Bionic Bar, which debuted on Quantum of the Seas, will also be aboard the Harmony. As far as accommodations, virtual balconies will be installed in inside staterooms offering an ocean view of sorts, while single cruisers will have studio options. Those ponying up for suites will get more exclusive areas including a private lounge, sun deck and their own restaurant called Coastal Kitchen. The line announced some specialty restaurants aboard including Izumi Hibachi & Sushi and Sabor Modern Mexican as well as Wonderland Imaginative Cuisine, a new concept that promises a culinary adventure for the senses in a whimsical setting. 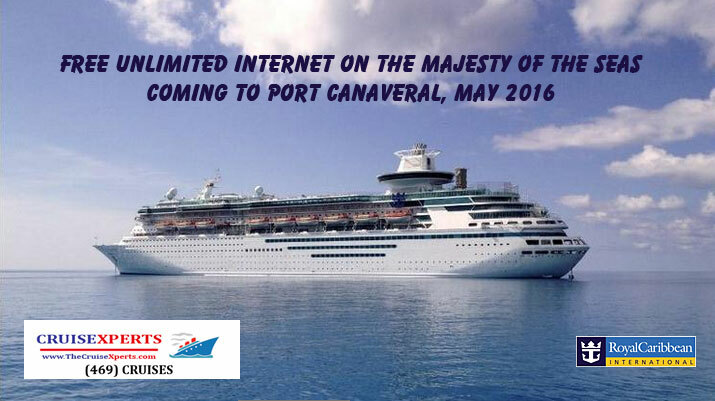 There is a ship that provides blazing fast connectivity at sea to Facebook, Twitter, Instagram and Vine. A ship that lets its guests download streaming music and videos from the cloud, Netflix, Hulu and more at speeds equal to those on land. A ship that lets you play Xbox Live with other gamers anywhere around the world. 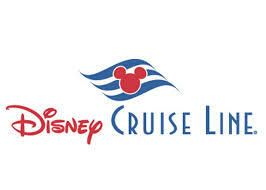 A ship where technology is there at every turn to make the guest experience richer than ever before. This isn’t a ship- it’s a Smartship. This is Quantum of the Seas SM. This changes everything. Via wearable and portable technology you can book shore excursions, make dinner reservations and more anywhere onboard the ship. Blazing internet connectivity speeds let you post to Facebook, Tweet, stream Netflix, play Xbox Live with gamers worldwide and more. 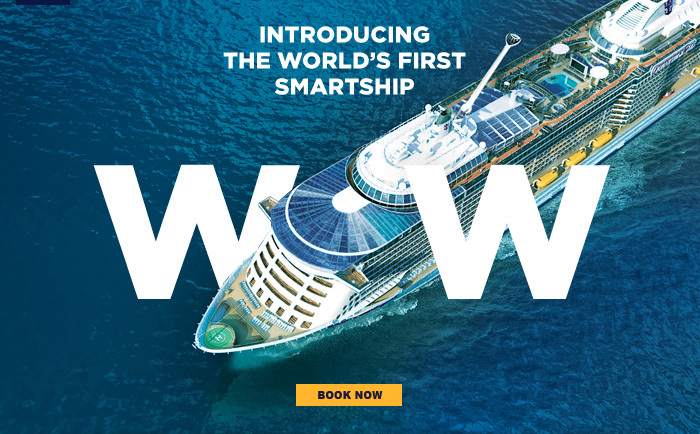 You’ll experience never before seen wonders at sea like Two70°SM featuring dancing robotic screens; virtual balconies; smart art and our Bionic Bar.